Innovator: iPad U teacher Jennifer Anderson shares tech projects that support big ideas. 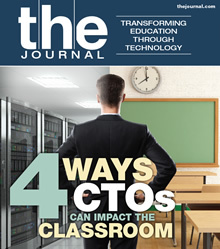 Successful tech leaders share their methods of making technology translate into learning. Visual and sonic aids can help students with language disorders improve their reading, writing and speaking. Schools have spent millions on tablets and laptops. Here’s how they’re keeping students (and teachers) from breaking them. A new generation of devices turns any surface into a canvas for collaboration. Districts are finding creative ways to provide enough bandwidth for all students to do their work at school and at home.